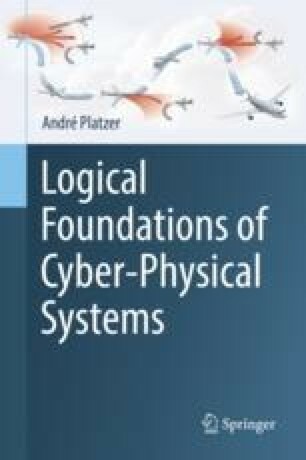 This chapter leaves the realm of cyber-physical systems whose differential equations are solvable in closed form.Without closed-form solvable differential equations, the continuous dynamics of cyber-physical systems becomes much more challenging. The change is as noticeable and significant as the change from singleshot control systems to systems with an unbounded number of interactions in a control loop. All of a sudden, we can no longer pretend each differential equation could be replaced by an explicit representation of a function that describes the resulting state at time t along with a quantifier for t. Instead, differential equations have to be handled implicitly based on their actual dynamics as opposed to their solution. This leads to a remarkable shift in perspective opening up a new world of fascination in the continuous dynamical aspects of cyber-physical systems, and it begins by ascribing an entirely new meaning to primes in cyber-physical system models.